So I realised I haven’t written anything for four whole gosh-darn months, no excuses – although there are many reasons: impending childbirth, self-employment, idleness, etc – and even this is going to be a flippin’ link to some music! I’ve “done” a compilation loosely based around the summer. I say loosely as it’s stuff I’ve been listening to since May so it should probably be called “Rob’s Summer Tunes 2010” and released on K-Tel, but while I wait for confirmation of a release date for that, feel free to download the zippedy-doo file and prick up yr ears, etc and so on. Recorded from the balcony at the Thekla, Bristol. If you get a chance to see Frightened Rabbit, I recommend you do so – anthemic and uplifting Scottish-tinged indie. Originally saw them supporting Gomez last November at Southampton Uni, they deserved a 160 mile round-trip to Brizzol. In October 2008, The Sables first album South Southern Angel was released on Honey Be Records. With a Single of the Week on Mark Radcliffe & Stuart Maconie’s Radio 2 evening show under its belt, and the potential of being an Album of the Week off the back of the single, we bought 1,200 physical copies of the album…well, it’d be terrible to miss out on selling as many as we could because we only made 250 copies, wouldn’t it? In the last 18 months I must’ve walked past 1,000 copies of that CD on my way to the bathroom at least once per copy. So you live and learn. You don’t buy hundreds (definitely not thousands) of physical copies of an album, not at the back end of the first decade of the 21st Century, the Digital Decade…which brings us to April 2009. On return from a 3 month sojourn round the global village, Honey Be were given three new tracks by one of our favourite songwriters. When I first saw The Marlins play in 2003, I realised that some bands play at making music. And that’s okay, it’s a hobby, no problem. Some bands are – or should be – destined for bigger things because of their songwriting, their “chops”, their presence on stage. The Marlins were such a band. Matt Marr wrote many of the songs. Then in 2006 he recorded an album – Beach In The Fallin’ Rain now retrospectively released on Honey Be (limited to 250 physical copies!). 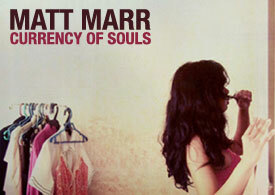 In 2008 a self-titled EP was released by himself and now Matt’s second full-length collection of songs, Currency of Souls, is available as a free download for a month from February 23rd. As well as being able to hear the whole album on Drift Europe‘s music player, you can listen to and download the entire album for free from both Matt’s own website – mattmarr.co.uk – and his dedicated Bandcamp site. In addition, you can currently listen to tracks from the album on Soundclick, Soundcloud, Virb, thesixtyone, blip.fm, Last.fm MySpace and Reverbnation. The next stage is sending out 3 track promos to radio stations and then the full album to magazine reviewers. This blanket coverage combined with free limited giveaways of music are the way the industry is going. Since Radiohead made In Rainbows available at a price the music lover decided, the music industry has had to change its ways. Of course, many people still enjoy the process of holding a physical copy of the album in their hands – that’s why a limited number of the CD will be available from the album’s official release on April 6th. But equally, the internet and its digital services make voracious collectors of music wherever and whenever its made available – I noticed this morning that I’ve downloaded 57 free tunes from various sources this month alone! Good stuff from established artists too – Massive Attack, Gorillaz, Broken Social Scene…this is the future, come and benefit from it today! Matt Marr’s Currency of Souls is freely downloadable between 23rd February and 22nd March. In return for your email address, you can be the proud owner of ten songs handcrafted and put “out there” for the world to hear. If you like it, please spread the word on MySpace, Facebook, Twitter or even, wait for it, by speaking directly to another human being! Matt Marr and Honey Be Records will be forever in your debt. This post is also published at Drift Surfing online magazine. Music surrounds me. Or rather, I surround myself in music. Whether falling asleep on my own at night or walking to the local shop, it’s always there. When I run, drive, eat, type, always there. I realised this when the sound of silence broke me from a waking dream early one morning, and it got me thinking about the music I choose, happen upon, am given and influences me whilst travelling last year. Sigur Rós always reminded me of actually experiencing the band live at Glastonbury Festival. 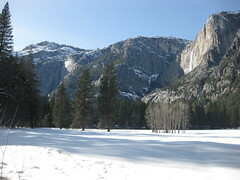 Until I spent a few hours walking around Yosemite National Park in California in February 2008 with Ágætis Byrjun coming to me through my headphones. The Scandinavian sounds married beautifully with what would have been a “blue sky powder day” at a ski resort. The six and a half hour journey each way to get to the park was forgotten as soon as I wandered around the deserted footpaths away from the main lodges and found myself staring up at thousand foot cliffs rising from snow meadows beneath. This can be the beauty of music. Hearing that collection of songs will forever remind me of that time and place, those few hours of solitude in an environment of outrageous scenery. I’ll also remember the Bostonian professor – also named Robert (Bob) – and the British couple nearing the end of their year out. Incidental to my experience but remembered because of the depth of reminiscence I now feel. 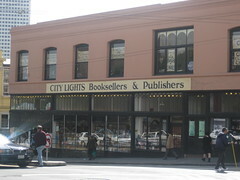 A day or so later, I wandered aimlessly looking for City Lights Bookstore in San Francisco’s North Beach district. The area’s “colour” – by which I mean, strip joints, homeless population and “interesting characters” – was accentuated by Mogwai creating their walls of sound between my ears and out of their The Hawk Is Howling record. The slow buildup of layers of guitar effects over guitar squall pushed me ever upward from Fisherman’s Wharf, past Coit Tower and up to the Beat Museum, City Lights and the building Francis Ford Coppolla’s Zoetrope film production company have called home since the 70’s. America is a special country and has a special landscape for musical associations. Perhaps this is a personal thing and I’m just a sucker for a Yankee-accent and the music coming out of the country but well, there you go. For example, Johnny Cash’s music was made for driving down a Texas highway towards Austin on an 84 degree F February morning having just come out of Mexico. 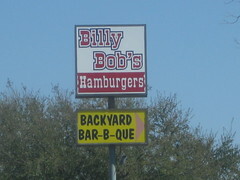 Creedance Clearwater Revival similarly, in a redneck, singalong kind of way, comforting like a nursery rhyme to an infant when driving past “Lonesome Hill” ranches, border patrol stations and Billy Bob’s Hamburgers. There’s always the blues imitators who took it to the next level – Led Zeppelin helping get that Ford Mustang up onto the Pacific Coastal Hoghway out of LA – rock music’s dynamism can help get you going when you’re in that over-tired, underslept state of mind, suddenly on an 8 lane highway after the sedation of New Zealand’s State Highways (generally one lane each way). Down in New Zealand’s South Island, John Lennon had kept us entertained whilst viewing the majesty of a seemingly untouched country enjoying an early summer. How Do You Sleep?, Lennon’s poisonous jab at Macca, will forever remind me of the rolling green mountains between Marlborough and Nelson. The two bare no relation but are now inextricably linked in my mind – the song’s anger made all the worse by it being recorded with Ringo and George and subsequently listened to amid the grandeur of yet more amazing hillsides, shoes on fence posts and not much else…proper thinking time to digest the vitriol. On a potentially more embarrassing note, car-dancing (dancing sat down in the back of a station wagon) to Michael Jackson’ “Thriller” and the breath-taking peak of Mt Aspiring are forever linked in music/landscape fraternity. 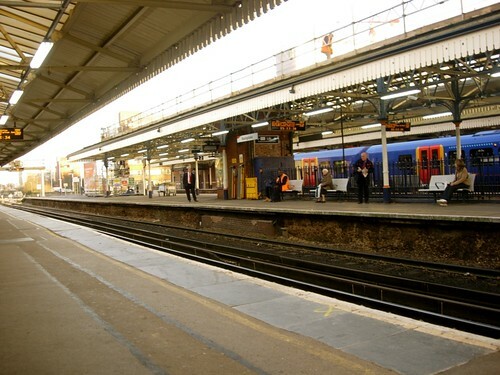 Basingstoke train station doesn’t seem to inspire the same lyricism, but given a bit more thought could surely provoke the spirit of John Lydon’s PiL, The Smiths or Joy Division…it looks like it could anyway. This is a fairly random collection of thoughts cobbled together from journal notes whilst travelling via road, rain, air and foot around the world in 2009. While I was listening to music. Still a free download from the link above – yay – I discovered this band about 15 years too late but they’re still going strong, as this track from 2009 shows. There’s a wicked live concert from their most recent tour available here too, so check them out! The Sables have been a beautiful five-piece for a year now. Their second album will be released in early 2010, and this track is already a sturdy, confident young live buck…I love the momentum of this track, pushing us forward, I can see the band playing in my mind – what a great band! Gomez never went away, they just went to Chicago and enjoyed their popularity in the States. Luckily, they came to Southampton Uni in November and played this from their latest album, it’s a beaut! Man, was seeing this guy live at The Social in London this October a treat? Why yes, it was – he played this song in a jazzy jam-style (some will cringe, some smile wanly) but this is such a funny ditty, how could you not love it? I just properly discovered this band this year – the 2008 album Narrow Stairs has been played constantly throughout the year. Referencing Big Sur and Bixby Canyon Bridge resonated with me after my LA – San Francisco coastal drive in February, and so this addendum to that release has been much loved in 2009. Deep joy. If MJ is remembered by me for one thing, I think it’ll be this…pop perfection from a simpler time. Special because I saw them play live at the Gaelic in Surrey Hills, Sydney on my first night in Australia in January, just a great memory! The first three tracks from next year’s ‘Currency Of Souls’ album became my running soundtrack earlier this year (i.e. when I was running). This is just a great pop song from someone I consider to be a master songwriter and performer. Let’s hope more people get to hear Matt in 2010. Amazing at Glastonbury, rather more underwhelming at Green Man, but this track showcases the accessible side of this incredible group, just such lush sounds. Another great track from a great American band. The flow of amazing songs in this lo-fi, Americana, folk strain doesn’t show any signs of abating, and this is a beautiful example of that genre I just made up. The best band performance I’ve ever seen. Wilco at Green Man Festival this year. And this song just goes off, and in such an unashamedly jocular way, yay! A whole album written in tribute to one of my favourite author’s great novels? It could’ve gone horribly wrong, but this track evokes all the huge, expansive, exhilarating feelings I experienced travelling across the US by train in February this year. So I caught Chicken Pox in April this year. It “came out” at Homegame 6 in beautiful Fifeshire, but Fence Records have been such an amazing addition to my musical library. Whether at Club Anemone in Bournemouth, the aforementioned Homegame, Green Man Festival or the Thekla in Bristol, Johnny Lynch aka The Pictish Trail and label founder has written an incredibly evocative tune that you can dance or at least wiggle along to, and that’s a great thing. Feeling a bit down? Too much darkness? Can’t see any light in the tunnel? This song might help a bit. A song written as you turn the corner and start to make sense of the world you’ve been inhabiting for the last while. Special for obvious reasons. Wow, that was pretty earnest, eh? Well, whatever, hope you enjoyed it and maybe enjoy some of the music – here’s the track listing and the zip file is linked down the bottom, wheee! Here they are in a compressed file if you’d like them – Songs of the Year – 2009. Of course, I’d point you to the links on the song titles to download the tracks you like (where available) and give some money back to the artists! Where do underground club nights come from? From a single mind, an idea which is followed through due to conviction, an external confirmation or the simple lack of a barrier? I haven’t asked Pual Hardsparrow his motivation for starting and maintaining Club Anemone, but assume rightly or wrongly that they involve one or all of the options above. To run a night in a provincial, seaside town two hours from London – and probably anywhere in the world – you will almost definitely need some blind optimism and self motivation. I think/hope that Hardsparrow’s motivations involve a desire to show a cultural backwater, ravaged by Lowest Common Denominator, “kiss me quick”-type establishments, what culture, talent, creativity and originality is “out there” and also that a good deal of it exists or originates from the place itself. Over its time, Club Anemone has pitched its caravan up at a pub/venue in the neighbouring town, at the local railway worker’s club, and the last “old school” small live venue in town (now a megachain “fun pub”) and most recently in the basement of a “down on its uppers” bar of the future…a venue which it feels oddly at home. Or at least seems to allow the music and performances to do the talking without distracting. The desire to liken one “thing” to another or series of others is only too easy to succumb to when discussing music but Club Anemone defies such logic. Very often Hardsparrow will begin the evening with his very own brand of anti-folk, neo-ironic, folky and non-ironic tunes – “Jim’ll Fix It”, “Eugene Landy” and one I call “Mr Mushroom Head” which is in no way called that – among them. With a self-depreciating smile or grimace – mood-dependent – he will finish his acoustic ramblings with news of a raffle, competition or some manner of savoury confection (last time: cherry bakewells). To follow may often be a local band of troubadours – The Powdered Cows, Language, Timothy!, Little Boat and Yaard among others – angular, challenging, talented, funny and most definitely original. As the evening progresses the “bijou” audience of loyal and enthusiastic music-lovers are treated to out of town or country performers – often from the Fence Collective – such as The Pictish Trail – Fence records head honcho, Bristol’s Rozi Plain, Ichi – the stilt-walking Japanese trumpeter and Viking Moses from the US. We paying punters stand reverentially and most often smiling with simple joy at the initimate performance unfolding on stage – like a private showing, or like peeking through the curtain at a final rehearsal which is, in fact, the performance itself. Hyperbole maybe, but this is surely the region’s best-kept secret and most original live music night, hidden away as it is, in a basement like all good underground movements should be. Rain on the beach…Arab student I taught “walking” and “swim/swam” on the early morning ferry…surf crashing at me facing the South Pacific, most random time. Tresa (pronounced “treeza”) stopped to give me a lift…left pegged message for pickup tomorrow back to ferry at Tryphena…slow leisure here…5 hours northeast from Auckland…more great palates…more great raindrops…tropical, conical, comical, beautiful…campsite holds my tent…maiden voyage for Claude Vaude…retired kiwi couple eased me in…weather-loved not beaten faces and bodies, like shaking a leather glove his hand was. Back a day now from the behemoth that is the Glastonbury Festival and the images and sounds increase in quantity and clarity as time passes in the midsummer heat. Not seeing Neil Young‘s entire set is still niggling away, but Animal Collective at The Park stage plus a snippet of Q-Tip couldn’t be missed. And anyway, Cinnamon Girl and Everybody Knows This Is Nowhere were enough of a treat for anyone, no? The sheer number of people – too many? – are the first thing noticed after arriving at 5pm on Wednesday, already stepping over guy ropes and assorted detritus en route to a spot above the John Peel Stage. Add some torrential rain and Glasto’s traditional mixture of mud and madness were reassuringly in place. So highlights? Well, Fucked Up, with Pink Eye storming through the crowd, singing from the mixing desk and spending only the first song on stage were a rousing opener on Friday afternoon. Check them out, why don’t you? The aforementioned Animal Collective and their properly atmospheric set. Metric with Emily Haines performing a storming set, a front woman among front women, writing and performing “music for people to dream to” on the strangely barren-feeling Other Stage. Yeah Yeah Yeahs and Bat For Lashes on that same stage on Sunday afternoon, under oppressive skies – both incredibly captivating and massively talented performers. Bon Iver nearly causing tears again – damn your beautiful voice and songs! – Blur bringing a real (nostalgic) tear to many an eye, including Damon…plus some newies – Wave Machines on the John Peel stage and oldies: Billy Nasty cranking it out on the bangin’ G Stage…oh yes, Crosby, Stills & Nash and Nick Cave & The Bad Seeds too…mmm, eclectic. But aside from all that, the Healing Fields with massages, tea, general replenishment of the body and soul. Green Futures highlighting a myriad of ways to improve everybody’s time on this planet without effing it up for the next lot. Avalon for Eliza Carthy joy on Saturday evening as the sun set over the appreciative and vocal crowd. Trash City for Sunday night weirdness, joined by Shangri-La’s total excess policy until the sun rises, the rain pours and the randoms are randomised – a different world that everyone should visit at least once. Sitting here unable to sleep at 1.49am on Wednesday morning, remembering vague glasses-swap-High-5 contests, early casualties asking “Where are the knots?” on Wednesday afternoon and many, many beautiful friends and could-be friends, it seems unbelievable that 5 nights were spent in a number of fields in the county of my youth, a madly messy weekend – but they were, thanks to all for a 100% positive experience, which is probably all the Eavis’s want anyway? Long live Glastonbury, although maybe cutting the capacity wouldn’t hurt too much…I’m 37, you know. What is this wonderful, droning idiotic repetition of a tune? Why, it must be Jeff Lewis & The Junkyard tuning up and starting their set in the bowels of the boat they call “Thekla” this Monday night in Bristol. If you know Jeffrey Lewis, you know what to expect from a Jeffrey Lewis gig – quirky, endearing songs played with a nonchalance you can’t buy, lyricism that makes you actually listen to the words and an unbridled joy (especially from brother Jack on bass). What’s not to like? Well, I guess if you don’t like ramshackle endings, mid-song, off-mic discussions – probably based on what might happen in the next ninety seconds – or short histories of North Korea in comic book style then Jeff Lewis may not be for you. Otherwise: WHOOP! Let the whimsy and joy commence in equal measure. In these days of F***book, Twitter and every fool blogging for food, experiencing an event as organic as this is becoming a genuine rare treat. There’s no backdrop or “lightshow” at the Thekla, nor is one needed as Jeff & The Junkyard entertain by music alone (comic book narratives not withstanding). New songs taken from the latest collection of songs ‘Em Are I’ are strewn amongst older favourites. ‘Bugs And Flowers’ sits snugly amidst garage punk workouts – such as brother Jack’s ‘The Upside-Down Cross’ – and lyrics like “These flowers blooming they are not human, these flies and insects are really weird. Their backs are shiny, their souls are tiny, and by the zillions they’ve disappeared” are twee perhaps, but there’s a message here, one of mortality and our ultimate connection to the earth which we can do nothing to change despite our best efforts at controlling our environment. It’s this wide-eyed enthusiasm and awareness of the world around us – around him – which makes Jeffrey Lewis so unique and so worth going to see live. The records are great, yes, but to see and hear him singing these tunes with his battered acoustic guitar sounding alternately clean as a whistle and dirty as a heavily distorted acoustic guitar is one of the pure, joyful events in this momentary life. ‘Roll Bus Roll’ is a beautiful example of the happy marriage of musical melody and tempo echoing the lyrical content of the song: “Roll Bus Roll, take me off. A rolled sweatshirt makes the window soft. If I fall asleep, don’t wake me up.. Roll bus roll, take me up”. Building up, rolling along, this is surely a masterclass in magical nuggets of lyricism. ‘Broken Broken Heart’, conversely, makes light of the harsh realities of the subject matter with it’s jaunty rhythm, but the lyrics are as hopeless and angry as you’d expect from a song with such a title. It looks so easy for Jeffrey Lewis on stage – and common belief is that these live performances are advertising space for his undoubted talent as a cartoonist – his easy manner with audiences honed across many tours and journeys around Europe and the States. This manifested itself by deciding that the night’s theme was “Themes” and pondering the likelihood that we were actually sinking but the water hadn’t reached us yet. His comic book interludes numbered only one this evening – the aforementioned “History of North Korea” – hey, a history lesson in rhyming couplets and cartoon form! – just another reason this is not just another rock show. After an hour and a quarter, the Junkyard leave the stage to rapturous applause and another few converts will leave with the already hooked into an early Spring night suggesting a great year ahead for Jeff Lewis, his band and his many talents.